Located about 90 minutes by train from Osaka on the rural outskirts of Hyogo Prefecture, Sasayama is a city surrounded by lush mountains and natural wonders. During the fall and winter months, Tamba Kiri (丹波霧), or the Mist of Tamba, is a common natural phenomenon that is quite an impressive sight to see. Traveling throughout the region you will discover the simple charms of the countryside lifestyle. The area of Sasayama and Tamba is agrarian and relaxing in atmosphere, and many artists call it home. The area also boasts a great amount of historical architecture, known as kominka (古民家), and a movement led by a group of architects has fueled the appreciation and preservation of these structures for continued future use. Located in a mountainous region away from the center of Sasayama, Maruyama Village is referred to as a genkai shuuraku (限界集落), or a shrinking hamlet with an aging population. This hotel was part of a project to revitalize the area, and guests are able to privately rent out and enjoy one of two 150 year-old traditional houses. With an authentic French restaurant and a Michelin-rated soba noodle restaurant in the vicinity, you can enjoy the Japanese country lifestyle in comfort, complete with a home-cooked breakfast made for you by local mothers and grandmothers. Hotel Nipponia is comprised of a number of traditional-style buildings that were renovated and prepared for guests to lodge in. They are located in the middle part of Sasayama City that is over 400 years old. The buildings, some of which are over 100 years old, are surrounded by a variety of cafes, craft shops, and in the main building there is a French restaurant that makes use of fresh and delicious local produce. Enjoy the rich history and atmosphere of the town during your stay. Located at the base of the mountain that the famous Takeda Castle (known as “Castle in the Sky”) lies on, EN is a traditional sake brewery that has been renovated so that it can accommodate guests. As it is in close proximity to the mountainous, you can enjoy the traditional architecture along with hiking and the gorgeous scenery that the town has to offer. As Takeda Castle is also known as Japan's Machu Picchu, the restaurant in EN has developed a menu around South American cuisine and local ingredients. The Sasayama region borders Tamba, an area which is known for its ceramics production and is recognized as one of the six oldest and main pottery centers in Japan. Fueled by high quality soil perfect for making clay, pottery created here is known as Tamba-yaki (丹波焼き), and many families in the region have been making ceramics for generations. In fact, driving through the area you will probably notice the noborigama (登り窯), a type of climbing kiln, that can often be seen on either side of the road. Masahiko Ichino is a renowned ceramic artist who was born and raised in Sasayama. Growing up in one of Japan's oldest and most famous pottery centers, he was surrounded by ceramic artwork ever since a young age. Ichino has received countless awards and prizes for his innovative and unique works. 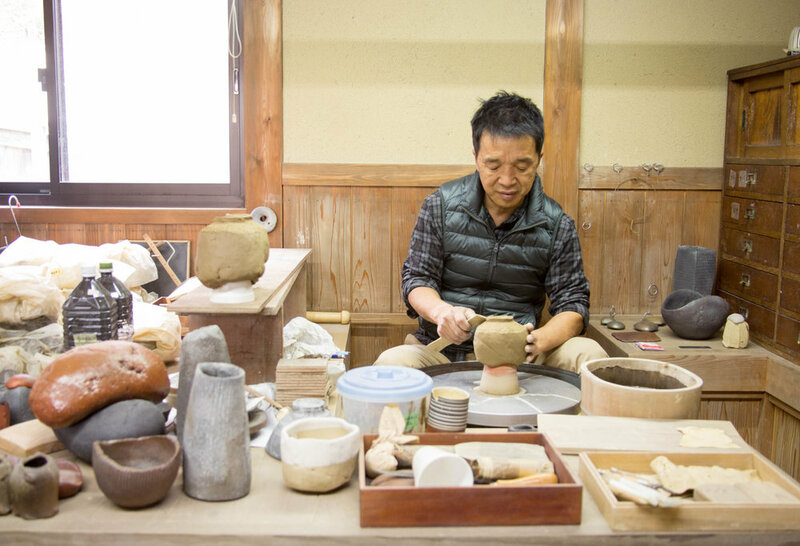 His entire family, from his grandparents to his siblings, is involved in making pottery. Although Ichino utilizes traditional methods passed down from previous generations to create his works, he adds a unique, modern flair to his style. His wavy designs, impressive ceramic spheres, and striking color palette are what really struck us as something truly special. He humbly described himself as lacking inspiration, but his creative artistic pieces and countless awards speak for themselves. Ichino doesn't only make ceramics; he also makes his own furniture and even designed his own house, decorating it with his unique ceramic pieces. He opens his private residence to Nipponia guests to sit down and enjoy a conversation with him, all while sipping coffee from one of Ichino's ceramic works. Take to the wheel and try your hand at making your own Tamba-yaki pottery. Ichino doesn't only make ceramics; he is an artist who also makes his own furniture, designed his own house, and enjoys decorating it with his unique ceramic pieces. 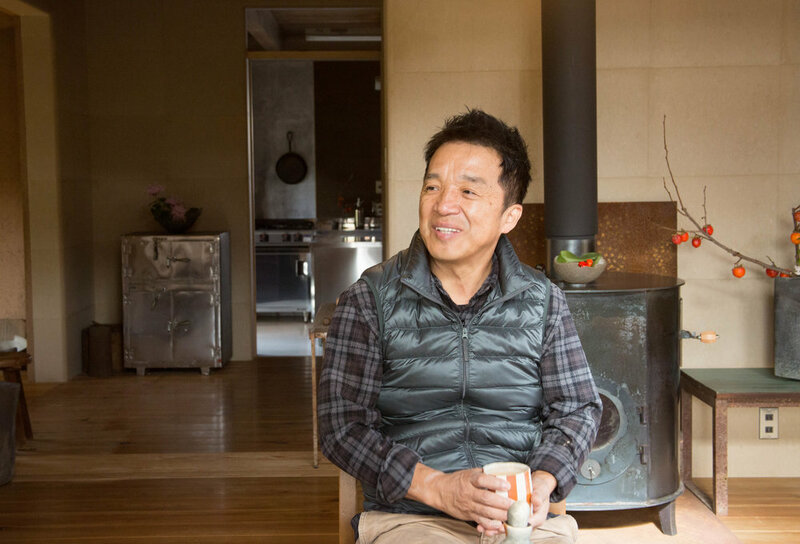 He specially opens his private residence, allowing guests to sit down and enjoy conversation with him, all while sipping coffee from one of his own ceramic works. 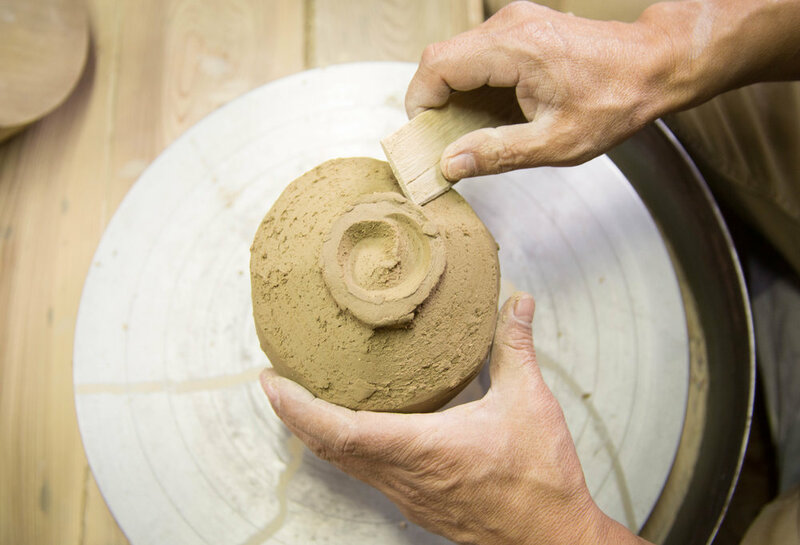 Enjoy a stimulating, hands-on experience making your own Tamba-style pottery. Spending time at Ichino's studio, you will have a chance to learn about the long history and culture of ceramics in the region as well as about the ideologies behind Ichino's aesthetics, design sense, and the contemporary application of traditional techniques. 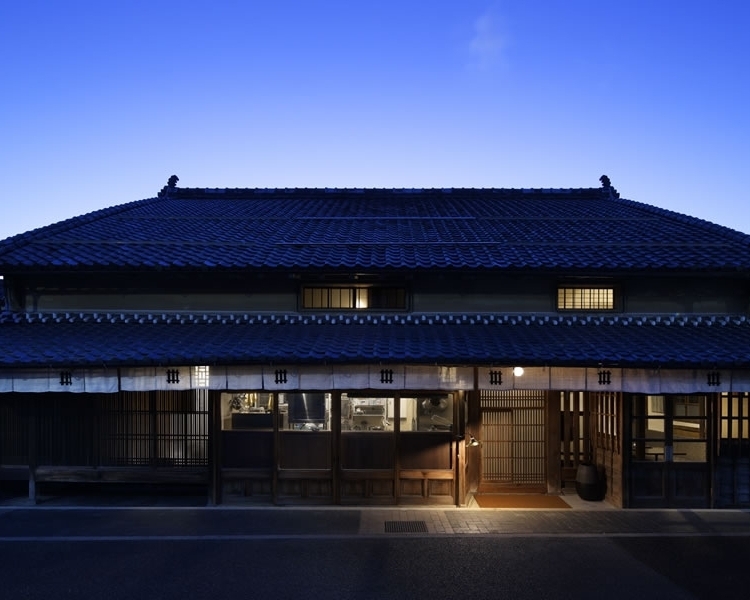 Shinnosuke Matsuda is the second-generation soba-chef of Roan Matsuda, a Michelin-starred soba restaurant located in the northern part of Sasayama. On the way to the restaurant, you will pass scenes of a slower life in the rural countryside. Matsuda's mother and father chose this out-of-the-way location for a restaurant because of the gorgeous, natural scenery. The soba at Roan Matsuda is impeccable, and after making your own noodles you will have a chance to savor the marriage of flavors created by Chef Matsuda himself. Try your hand at making traditional soba noodles from scratch at a Michelin rated soba noodle restaurant in Sasayama under the tutelage of the master chef. 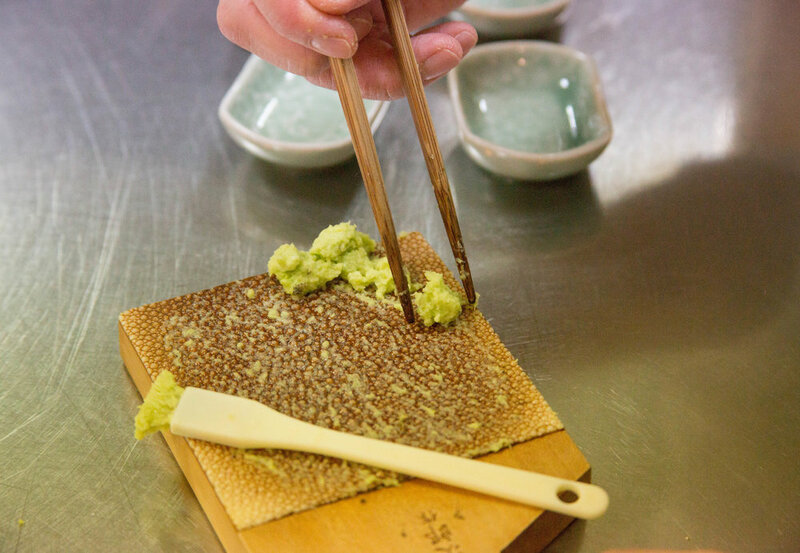 Working directly with the chef, you will witness and learn first-hand about the detail and care that goes into every aspect of making soba noodles. 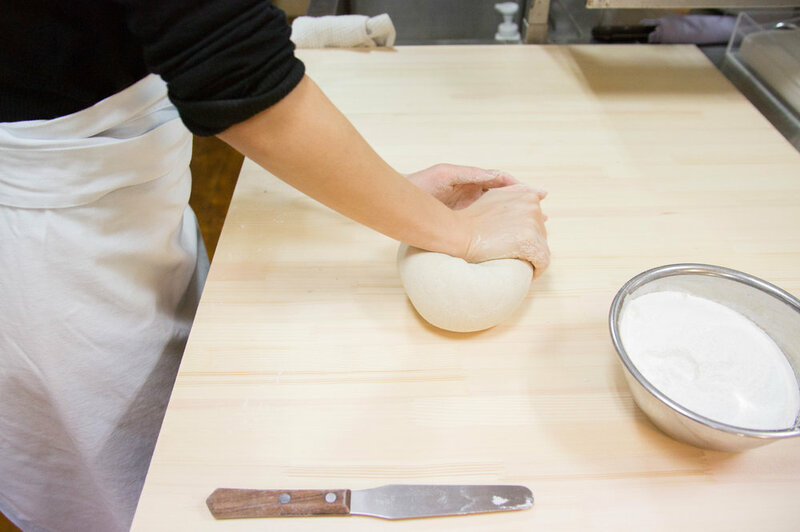 Using soft, natural spring water imported from the southern island of Kyushu, the chef gauges the consistency of the dough, adjusting the proportions throughout the year based on the seasonal changes. It comes as no surprise that the restaurant was recognized by the Michelin Guide, as the soba noodles are sublime. After experiencing making your own, you can enjoy savoring the marriage of flavors created by the master soba chef himself if you choose the dinner option. Traveling through the Japanese countryside, the unique architecture of the old buildings are quite the sight to see. However Architect Kenji Saimoto explained that for many of these old buildings, there is an expiration date. He explained the beginnings of the Kominka (古民家) Movement, a movement which he pioneered approximately 13 years ago. The goals of this movement were not only to help restore and prolong the lives of Japan's historical buildings, but to bring back their relevancy into our modern lives. "A lot of times, people associate old with dirty. But if someone were to look at something and say, 'That looks old,' I think there's value in that." Saimoto explained that the ultimate goal of to maintain as much of the original structure as possible, only replacing sections that absolutely need repairs. He continued, saying that even the black stains above a fireplace express a certain beauty, illustrating that someone once used that fireplace before. 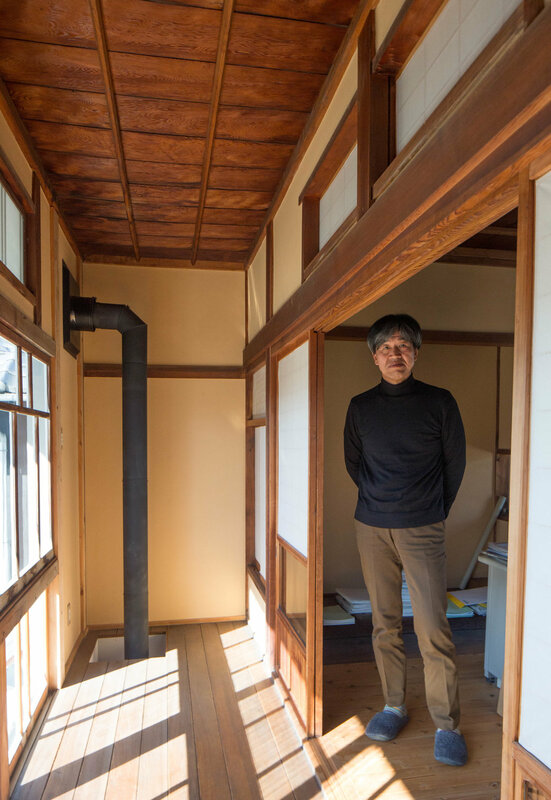 We found it fascinating that Saimoto himself lives in a restored building, and he gave us a tour of the building. From the irori (囲炉裏) hearth in the center of the living room to the style tile ofuro (bath), his home is teeming with character and charm. Enjoy an architecture tour of Sasayama, providing you with a deeper understanding of the Kominka Movement and the different ways in which these historical buildings are being preserved and utilized today. Witness first hand the ways in which architecture has played a role in the revitalization of Sasayama. Please contact us for more information about a tour of the unique architecture throughout the Sasayama and Tamba area. ...are interested in ceramics, Japanese cuisine (especially noodles), traditional Japanese architecture. ...are creative and like to use their hands. ...like the outdoors, countryside, or nature. We can arrange for a "Glamping" camping package, allowing you to enjoy the great outdoors. 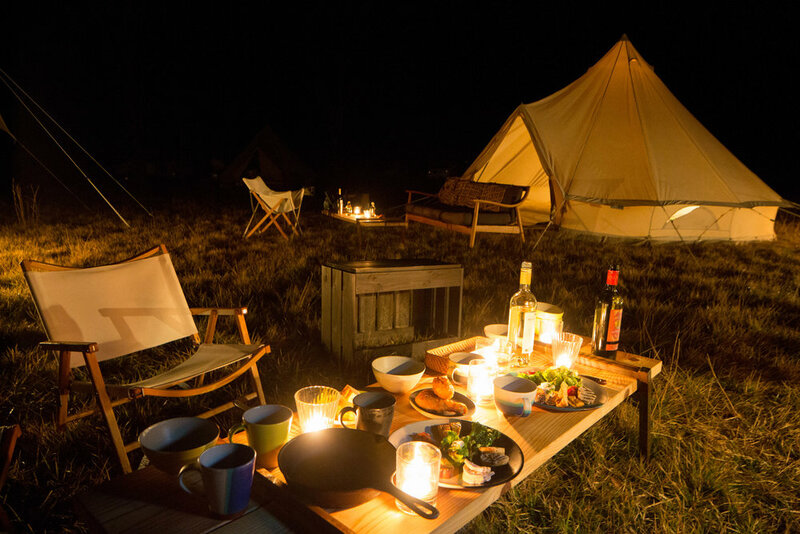 Camping is taken to the next level with "Glamping," or glamorous camping. 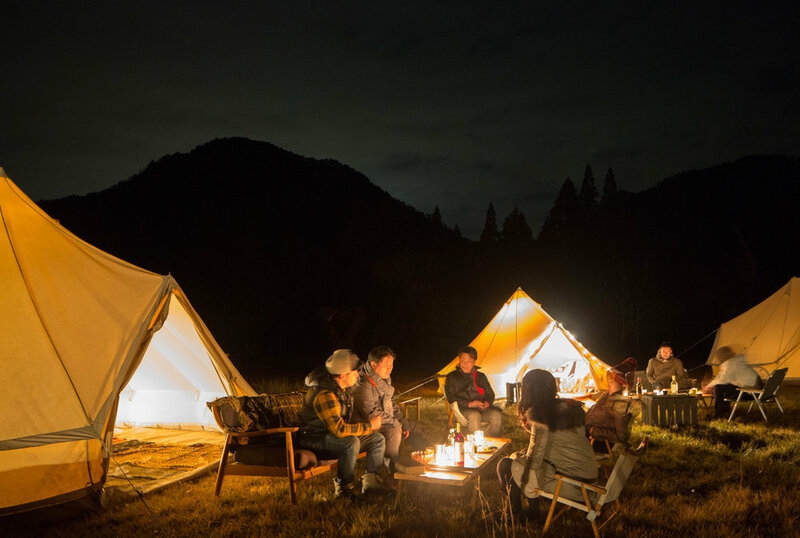 Enjoy your stay in the foothills of Sasayama sleeping under the stars. Surrounded by nature, you're only a short ride away from Sasayama's famous Takeda Castle, which is popular for the "sea of clouds," a mist that surrounds the base of the mountain. Please contact us for more information regarding the Glamping add-on.